Summer is here! It’s time to get outdoors (preferably barefoot) and let those kids get dirty! Yes, you heard me right...DIRTY. Why you ask? Because dirt is good for you. Exposing our bodies to bacteria, viruses and fungus help the body build a strong immune system. We as a society have been groomed to sterilize everything and keep our children from getting dirty. Petting zoos requires anti-bacterial wipes, wash your hands as soon as you touch that dog, getting dirty in the backyard requires an immediate bath. This is all wrong! By not exposing our children to germs in our environment, we are setting them up for allergies, asthma and even eczema. The purpose of our immune system is to fight foreign “threats” such as bacteria and viruses and create a long acting defense against these “threats”. When we don’t expose ourselves to “threats” then our immune system gets bored and starts to react to “non-threats” such as pollen and foods. This leads to the development of allergies and asthma. There was a study done by American Academy of Pediatrics in May of 2013 showing that parents who lick their children’s pacifiers to clean them were less likely to develop asthma, allergies and eczema then parents who did not do use this cleaning method. The children whose parents licked the pacifier had stronger immune systems overall. So what does this all mean? 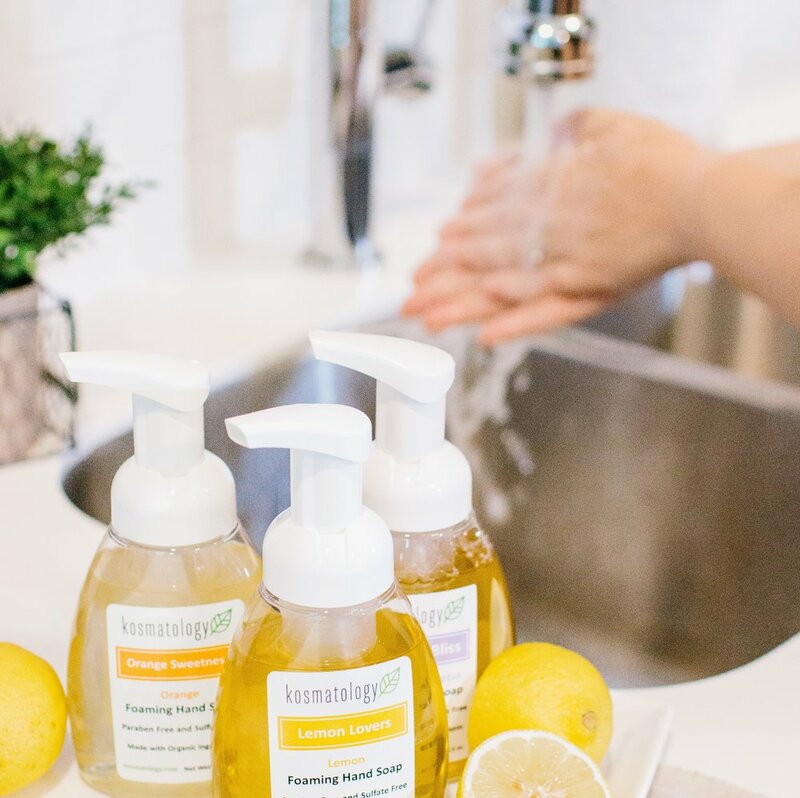 For me, I don’t freak out when my kids eat a snack without washing their hands first, we never use anti-bacterial products (I like Kosmatology’s MADE SAFE Certified Foaming Hand Soap for clean up) and I embrace the dirty. I let my kids run outside barefoot in the dirt, if a dog licks my daughter’s face I don’t feel the need to immediately disinfect her. I hope these actions will help them develop strong immune systems ready to take on the bacterial and viral world but not non-threatening pollen and foods!